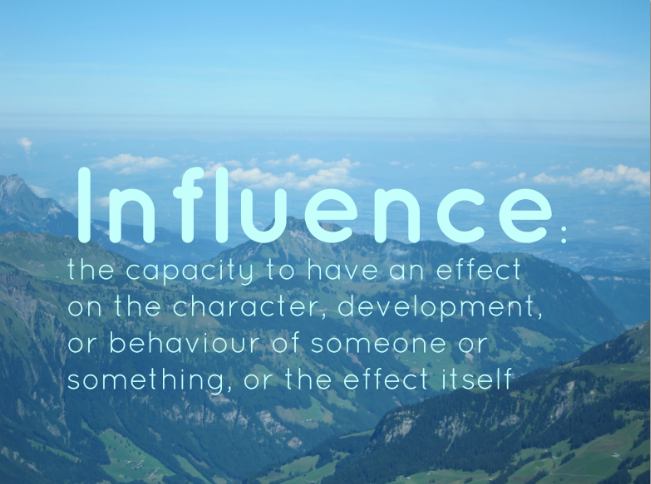 After much thought and deliberation I have finally chosen my word for the year… drum roll… and it is ‘Influence’. This poster will remind me what I am trying to achieve. I have chosen the word because it is both a noun and a verb and it describes what my marketing and training business should be doing. It is a word that applies to all aspects of my life. I want to influence my husband and children to live their dreams and also to help me to achieve my goals. I want to influence my clients to go for their goals. I want to influence prospects to take specific action. I want to influence the staff and governors of the school where I am Chair of Governors to push the boundaries of what we can achieve. I want to influence my Young Enterprise group to dream big. I want to help at least 100 people to start a business. I want to sell at least 500 training programmes to small business owners. I hope you will help me with my quest. I know that I have many more readers of this blog than comment here. I know that I may them think, I hope that I influence them to take action. If you can help me to achieve any of the objectives above do please get in touch, I need your help and hope I can do something for you in return. This entry was posted in Action planning, Business inspiration, Personal development, Small business advice and tagged Business, Business and Economy, Facebook, Magazines and E-zines, New Year, Small business, Twitter, Young Enterprise by glendashawley. Bookmark the permalink.